Sammy with his big blue eyes. His expressions are priceless at seven months old. Wow how time flies by. 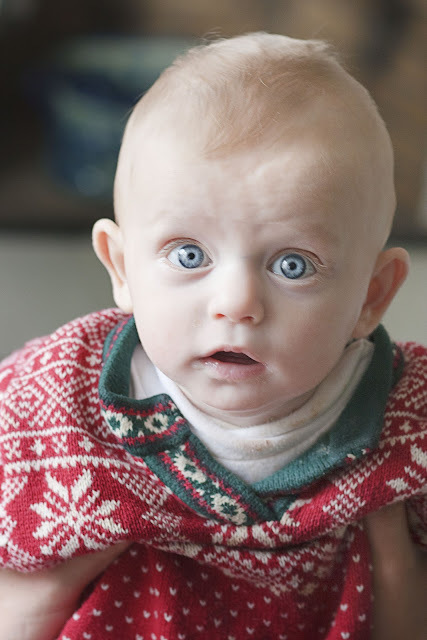 This darling little Christmas sweater he is wearing was a gift from my Mom to Mikey when he was a baby. He fits it perfectly.